The California couple who we reported found the largest gold treasure horde in history may now lose every dime. 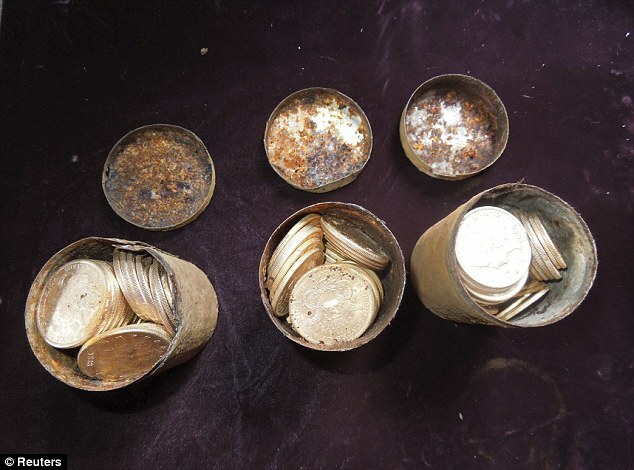 The San Francisco Chronicle is reporting that the gold they found buried in rusty cans may have been stolen from the U.S. Mint. The coins have a face value that adds up to $27,000, but the total value of what is being called the Saddle Ridge Horde is estimated to be at $10 million. A search of the Haithi Trust Digital Library found by a fishing guide and historian named Jack Trout revealed the news about the alleged theft. Trout claims there is evidence that one specifically rare 1866 Liberty $20 gold piece was part of the buried stash, and alone it is worth about $1m. The gold coins may be a previously undiscovered bounty that an employee of the San Francisco Mint was convicted of stealing in 1901. There were reports in the late 1800’s that these could be the coins stolen by Walter Dimmick, an employee in the Mint at the time. He began working at the mint in 1889 and in 1909 he was given the keys to the vault. An audit at the time revealed a $30,000 shortage in $20 Double Eagle Coins. He quickly became the prime suspect as he was the last person to see the missing gold coins and had already been caught practicing how to forge the Superintendent’s name. He was the convicted of stealing the coins and sentenced to nine years in San Quentin prison. The coins he stole were never found, and the denominations are a very close range to the Saddle Ridge Horde. The couple, who are trying to remain anonymous, claim they want to donate most of the money if they get to keep it. “We’d like to help other people with some of this money. There are people in our community who are hungry and don’t have enough to eat. We’ll also donate to the arts and other overlooked causes. In a way it has been good to have time between finding the coins and being able to sell them in order to prepare and adjust. It’s given us an opportunity to think about how to give back,” said the couple.